(CNN) — All eyes are on the Korean Demilitarized Zone (DMZ) right now, where South Korea's President Moon Jae-in and North Korean leader Kim Jong Un met in April and vowed to bring peace to the peninsula. Even the US President could be on his way there. A source told CNN in May that Kim Jong Un has agreed to meet President Trump at the DMZ, a no-man's land about 30 miles north of Seoul that was established in the 1953 Korean War Armistice Agreement. Dividing the peninsula like a scar, the 160-mile-long treaty zone isn't just a strategic political meeting place -- it's also a tourist magnet. 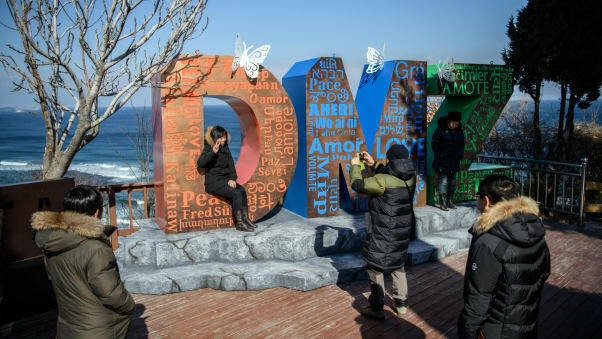 It may be one of the world's most heavily militarized borders, but the DMZ welcomes more than 1.2 million travelers each year, according to the Korea Tourism Organization. 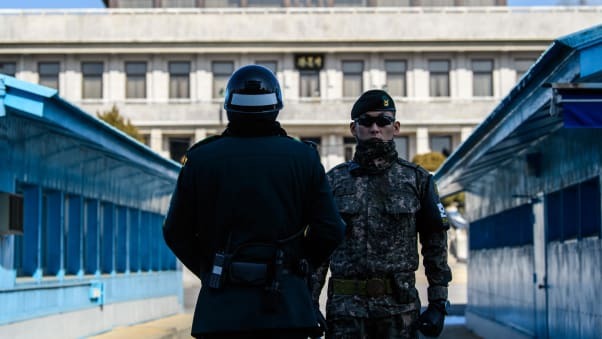 CNN Travel explains how to visit the DMZ, what you should know before going and the likely fate of the zone should South Korea and North Korea finally broker a formal peace. South Korean soldiers stand guard at the border village of Panmunjom. 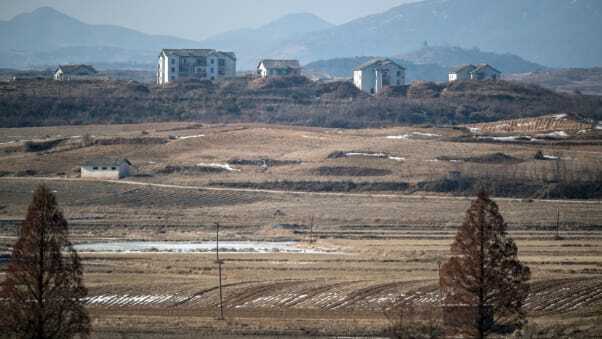 When imagining the 2.5-mile-wide DMZ, the first image that comes to mind is often the Joint Security Area (JSA), also known as the Panmunjom truce area. It's easily identifiable by the vibrant blue Military Armistice Commission Conference Room, which straddles the Military Demarcation Line. Surprisingly quiet, the JSA has been called "haunting" and "unsettling" due in part to barbed wire fences and steely military personnel. Bill Clinton, who visited in 1993, famously called it the "scariest place on earth." "Panmunjom is the most-visited part of the DMZ, from both sides," says Simon Cockerell, managing director of Koryo Tours, which organizes independent travel to North Korea. "This is where you can see the front line up close, and even cross it within (the conference room)." But that's just one part of the DMZ experience. In South Korea, the atmosphere varies widely from site to site, from quiet deference at JSA to the bustling Dora Observatory. There is even a theme park built in Imjingak Nuri Peace Park, just outside the DMZ on the South Korea side, which may feel at odds with the area's somber history. "While there's tension there all the time, it's not the case to say that it is on a knife edge or anything like that," says Cockerel. "After all, it has been in its current state for decades. "It can be confusing to go to the 'front line' and find all things calm, despite the rhetoric." A view from the Dora Observatory. On both sides of the DMZ, travelers must book a guided private or group tour with an official operator, such as Koryo Tours in the North, or Viator in the South. In North Korea, there are two major points of interest within the DMZ: Panmunjom and the Concrete Wall observation post, which overlooks the South Korean anti-tank barrier on the southern end of the treaty zone. In contrast, the South Korean side of the DMZ, and the surrounding area, encompasses several parks, observation towers and museums -- plus a plethora of tour itineraries. US travelers have been banned from visiting North Korea since September 1, 2017, so access via the South is the only option. Most first-time visitors choose a combined DMZ and JSA tour by way of Seoul. The itinerary usually takes travelers to unfinished infiltration tunnels (said to be built by the North), the barricaded Freedom Bridge (used to return prisoners at the end of the war), Nuri Peace Park, the Dora Observatory and the Mount Odu Observatory. Also known as Unification Hill, the Mount Odu Observatory is a highlight, providing voyeuristic travelers with binoculars and 360-degree views across the peninsula. From this perch, you'll see the modern cities and cars of South Korea in one direction, juxtaposed with marshy landscapes up north. While largely desolate, you might spot a glimpse of graceful white cranes, eagles, bears, goats or deer. Some tours also provide the chance to speak -- or go hiking -- with North Korean defectors to better understand what life is like across the border. "There are some farmers living within the DMZ on the North side," says Cockerell. "By and large, North Korean lives are very difficult." Even though you're tethered to a guide, the broader DMZ experience can pack in a few surprises, from the unexpected wildlife to a contemporary art museum, a three-hole golf course and the off-chance celebrity sighting. And if you would like to see a few aspects of the zone sans tour guide, you can visit the powerful DMZ Museum or Unification Tower -- both of which are open to independent travelers on the South. "I have been to the DMZ over 169 times and I have many great memories from this area," says Cockerell. "The strangest thing that ever happened was when Dennis Rodman sang 'Happy Birthday' to Kim Jong Un in 2014. That was unexpected and very unusual!" A tourist poses by the Goseong Unification Observatory. While there may be a few surprises, the DMZ is not the kind of place where an average tourist can, or should, wander off. On both sides of the border, travelers must stay with their guides and military escorts at all times. You'll also be asked to sign a form that indemnifies authorities should you veer from the pack or chance upon a landmine. But when it comes to codes of conduct, it may surprise some travelers to learn that the southern side of the DMZ is stricter than the northern side. On the South Korea side, travelers must follow a strict dress code -- no sandals, camouflage, shorts or ripped jeans -- as well as abstain from waving, signaling, pointing or taking pictures without permission. "It's odd to see any situation where North Korea displays a more relaxed attitude than South Korea -- clearly South Korea is the more open society," says Cockerell. "But that place exists, and it is Panmunjom." 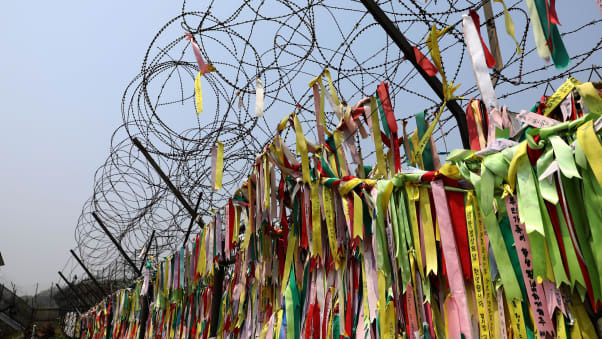 Civilians covered a barbed-wire fence with prayer ribbons near the DMZ. Despite the current air of optimism on the peninsula, some experts believe the DMZ isn't going anywhere anytime soon. "I think it's highly unlikely the DMZ will disappear. While everyone looks very friendly at the moment I would expect any move to actually remove the DMZ would take a long time to happen," says Cockerell. "It has been there for decades, after all. And while both sides, rhetorically at least, rail against it, it does serve a useful purpose for political propaganda. "There have been proposals to turn the DMZ into a nature reserve or a peace park, but I would expect the trust levels needed to remove the DMZ to take quite a bit more time." If tensions continue to ease between North and South Korea, Cockerell says it's possible the two countries will grant broader access to travelers and residents in the future. Cockerell believes cultural exchange may improve humanitarian efforts to elevate the lives of struggling North Korean villagers. "North Korea is a very complicated place -- a very confusing, frustrating and complex country. Both it and the people who live there deserve a closer look and a more thoughtful understanding than the usual broad-strokes version usually portrayed," says Cockerell. "Of course, just going on a quick trip won't make everything crystal clear, but it can start a process of learning and understanding."